According to what we thought we knew about planet formation, there should be a limit to how massive a rocky planet (similar to Earth, Mars, the Moon, etc.) can grow. Above that mass, a planet should start collecting enough hydrogen gas to make a thick atmosphere, switching it over from a terrestrial planet into one more like Neptune or even Jupiter. That’s why the exoplanet Kepler-10c is a puzzle. Based on transit data — how much light the planet blocks as it passes between us and its host star — it’s about 2.4 times the diameter of Earth in size. That’s nothing weird, but it also happens to orbit closely enough to affect its star’s motion, swinging the star very slightly on each orbit. 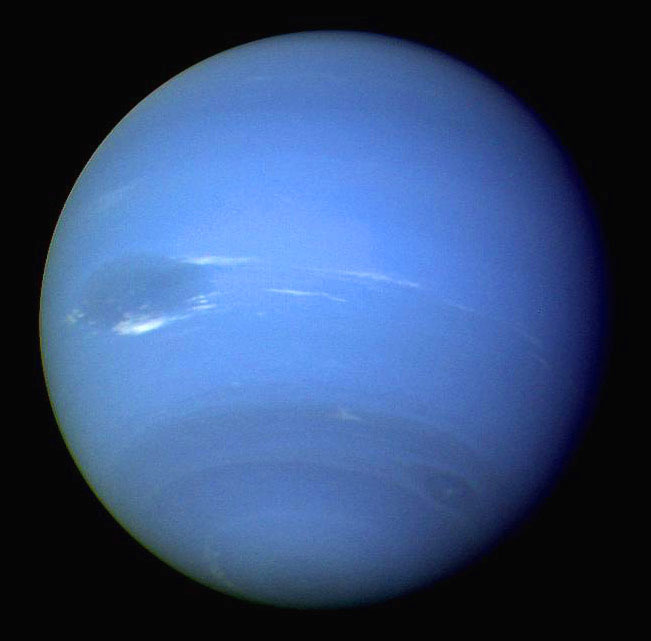 As a result, astronomers measured its mass: 17 times that of Earth, which is roughly the same mass as Neptune. Together, the mass and size reveal a planet denser than any yet discovered: more than 7 times the density of water. (Earth is roughly 5.5 times the density of water, on average.) As I explained in The Daily Beast, that implies a rocky composition for Kepler-10c, making it much bigger and more massive than expected for any rocky planet. It seems to me that the real question is, is this a big Earth or a stripped Jupiter? In other words, is there a “long tail” to the terrestrial planet mass function, or was this planet originally a gas giant that lost its gas and, if so, how? Given that there is a very close / hot planet in this system (Kepler 10-b), and at that there is at least one paper that claims a mass for the rocky core of Jupiter in the range of 15 to 17 Earth masses (http://arxiv.org/abs/0807.4264), I wouldn’t be too surprised to see claims that Kepler 10-c was originally an ultra-hot Jupiter. These Arvix paper authors think that it’s too hot and too small to have held on to an accumulated hydrogen-helium atmosphere, or any outgassed hydrogen. I’m not really qualified to comment on that, since it’s not my area. There are certainly “hot Neptunes”, but I don’t know how that fits into this paradigm.